A big change to IFR currency regulations takes effect Nov. 26, 2018. 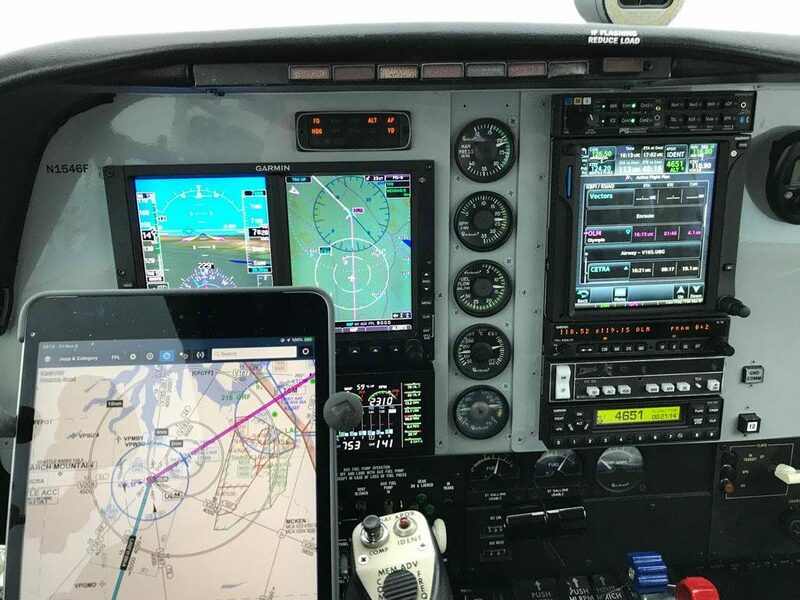 It’s the second of two regulatory revisions making it easier for instrument-rated pilots to maintain their IFR currency by using aviation training devices (ATD). This newest regulation effectively allows pilots to use an ATD to maintain IFR currency. An ATD is a device (software and hardware) that meets specific FAA requirements. It’s not a home cockpit based on Microsoft Flight Simulator, X-Plane, or a similar PC-based simulation. You can find detailed descriptions of the ATD in AC 61-136B, FAA Approval of Aviation Training Devices and Their Use for Training and Experience, updated Sept. 12, 2018. The first new IFR currency rule became effective July 27, 2018. This rule changed § 61.51(g), removing the requirement to have an instructor present while using an ATD to maintain IFR currency, provided you record the time spent using the device and the tasks you accomplished in a logbook or other acceptable record. The record should include the approaches, holds, and related tasks you would have recorded while flying “under the hood” in VMC with a safety pilot or when operating IFR in actual IMC. The second change to § 61.51, effective Nov. 26, 2018, modifies paragraph (c). Effectively, this change makes using an ATD to maintain IFR currency equivalent to flying an aircraft. No longer are you required to parse the complex requirements for using an ATD alone or in combination with an aircraft to ensure that you meet the IFR currency rules. The IFR experience you log in an ATD is valid for six months, the same as when you fly an aircraft. The new currency rules do not change the tasks you must accomplish to maintain IFR currency (six approaches, holding procedures, and course intercepting and tracking) within the preceding six calendar months. Nor do the updates change the requirement for and content of an instrument proficiency check (IPC) if you don’t maintain your IFR currency. It is important to note the new rules apply to pilots who already have an instrument rating. The FAA distinguishes between using an ATD to maintain IFR currency and using an ATD as part of the training required for a rating. If you’re training for an IFR rating and using an ATD to learn and practice instrument flying skills and procedures, an instructor still must supervise your ATD sessions and endorse your logbook. AC 61-136B FAA Approval of Aviation Training Devices and Their Use for Training and Experience includes detailed information about how to log the simulated instrument time you acquire while using an ATD, including dual instructional time. By allowing use of the ATD, especially without an instructor, the new regulations allow pilots to maintain IFR currency at lower cost, more efficiently, and more effectively. Galvin Flying has several ATDs available for use under the updated rules, and two additional Cessna 172 ATDs from one-G simulation are expected to be installed and ready to use at Galvin by early December 2018. ATDs provide far more benefits than currency alone. Using an ATD for training or currency by practicing in unfamiliar areas or when challenging weather makes flying a light GA aircraft unrealistic helps build knowledge and experience. For example, you can fly complex departure procedures (such as the BRUTE SEVEN at Medford, Oregon [KMFR]) and a complete range of approaches at far-flung airports without traveling hundreds of miles from your home base or when icing grounds even local flights. To get checked out to use the ATDs at Galvin Flying, and for guidance and scenarios to help you use ATDs to complement your training or currency needs, please contact us at Galvin. Article written by Galvin Instructor Bruce Williams, CFI, CFII. You can read more about IFR flying and other aviation topics at his blog at WordPress.